Belt barriers are a functional, flexible, low cost way of managing queues, these double belt barrier posts are fitted two belts, both with belt locks and slow retract belt braking systems for safety. 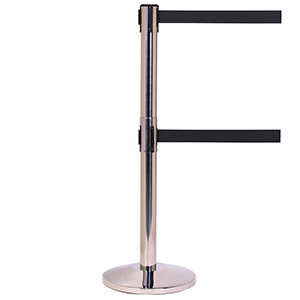 Double belt barriers provide an additional level of obstruction, they are suitable for use wherever queues may form, allowing you to manage the formation and path of people queuing in a safe and space efficient manner. The additional belt makes them ideal for situations where children and dogs are present and also can help those queuing avoid the indignity of scrabbling under a single belt barrier in a desperate attempt to reach the front of the post office queue. The weighted base provides stability and the full circumference floor protector will help ensure your floor, or floor covering is not damaged. 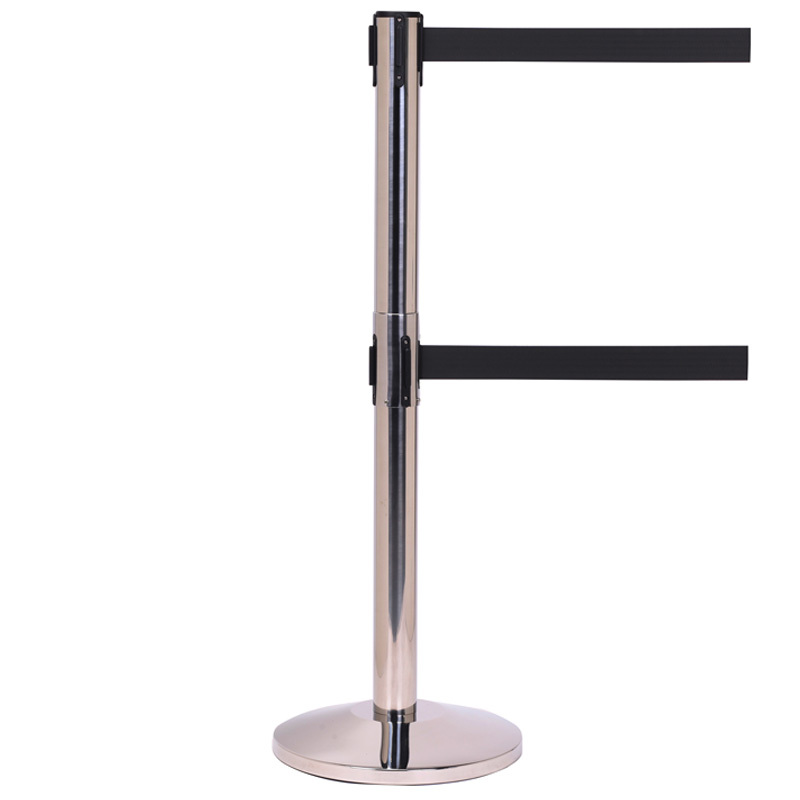 Belt barrier posts are easy to position and store, as the 3.4m long belts retract into the post they take up little space when in not in use. The posts are available in polished stainless steel and the integrated belts are black.Each post features belt end receptors (on both levels) allowing flexible layouts.